Perhaps someday there will be a miraculous replacement for the burned-out beta cells of your pancreas, but until then, if you are going to control your diabetes and get on with a normal life, you will have to change your diet and the key aspect of all treatment plans for normalizing blood sugars and preventing or reversing complications of diabetes is diet. Milk and cottage cheese contains a considerable amount of the simple sugar lactose and will rapidly raise blood sugar, skim milk actually contains more lactose per ounce than does whole milk. 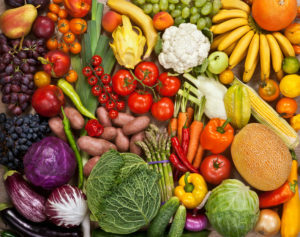 Vegetables: asparagus, avocado, broccoli, Brussels sprouts, cabbage and sauerkraut, eggplant, onions, peppers any color, mushrooms, spinach, string beans, summer squash and zucchini, but remember that cooked vegetables tend to raise blood sugar more rapidly than raw vegetables.